When it comes to relations between Donald Trump’s America, Vladimir Putin’s Russia, and Xi Jinping’s China, observers everywhere are starting to talk about a return to an all-too-familiar past. “Now we have a new Cold War,” commented Russia expert Peter Felgenhauer in Moscow after President Trump recently announced plans to withdraw from the Intermediate-Range Nuclear Forces (INF) Treaty. The Trump administration is “launching a new Cold War,” said historian Walter Russell Mead in the Wall Street Journal, following a series of anti-Chinese measures approved by the president in October. And many others are already chiming in. Recent steps by leaders in Washington, Moscow, and Beijing may seem to lend credence to such a “new Cold War” narrative, but in this case history is no guide. Almost two decades into the twenty-first century, what we face is not some mildly updated replica of last century’s Cold War, but a new and potentially even more dangerous global predicament. The original Cold War, which lasted from the late 1940s until the collapse of the Soviet Union in 1991, posed a colossal risk of thermonuclear annihilation. At least after the Cuban Missile Crisis of 1962, however, it also proved a remarkably stable situation in which, despite local conflicts of many sorts, the United States and the Soviet Union both sought to avoid the kinds of direct confrontations that might have triggered a mutual catastrophe. In fact, after confronting the abyss in 1962, the leaders of both superpowers engaged in a complex series of negotiations leading to substantial reductions in their nuclear arsenals and agreements intended to reduce the risk of a future Armageddon. What others are now calling the New Cold War — but I prefer to think of as a new global tinderbox — bears only the most minimal resemblance to that earlier period. As before, the United States and its rivals are engaged in an accelerating arms race, focused on nuclear and “conventional” weaponry of ever-increasing range, precision, and lethality. All three countries, in characteristic Cold War fashion, are also lining up allies in what increasingly looks like a global power struggle. But the similarities end there. Among the differences, the first couldn’t be more obvious: the U.S. now faces two determined adversaries, not one, and a far more complex global conflict map (with a corresponding increase in potential nuclear flashpoints). At the same time, the old boundaries between “peace” and “war” are rapidly disappearing as all three rivals engage in what could be thought of as combat by other means, including trade wars and cyberattacks that might set the stage for far greater violence to follow. To compound the danger, all three big powers are now engaging in provocative acts aimed at “demonstrating resolve” or intimidating rivals, including menacing U.S. and Chinese naval maneuvers off Chinese-occupied islands in the South China Sea. Meanwhile, rather than pursue the sort of arms-control agreements that tempered Cold War hostilities, the U.S. and Russia appear intent on tearing up existing accords and launching a new nuclear arms race. These factors could already be steering the world ever closer to a new Cuban Missile Crisis, when the world came within a hairsbreadth of nuclear incineration. This one, however, could start in the South China Sea or even in the Baltic region, where U.S. and Russian planes and ships are similarly engaged in regular near-collisions. Why are such dangers so rapidly ramping up? To answer this, it’s worth exploring the factors that distinguish this moment from the original Cold War era. In the original Cold War, the bipolar struggle between Moscow and Washington — the last two superpowers left on planet Earth after centuries of imperial rivalry — seemed to determine everything that occurred on the world stage. This, of course, entailed great danger, but also enabled leaders on each side to adopt a common understanding of the need for nuclear restraint in the interest of mutual survival. The bipolar world of the Cold War was followed by what many observers saw as a “unipolar moment,” in which the United States, the “last superpower,” dominated the world stage. During this period, which lasted from the collapse of the Soviet Union to the Russian annexation of Crimea in 2014, Washington largely set the global agenda and, when minor challengers arose — think Iraq’s Saddam Hussein — employed overwhelming military power to crush them. Those foreign engagements, however, consumed huge sums of money and tied down American forces in remarkably unsuccessful wars across a vast arc of the planet, while Moscow and Beijing — neither so wealthy nor so encumbered — were able to begin their own investment in military modernization and geopolitical outreach. Today, the “unipolar moment” has vanished and we are in what can only be described as a tripolar world. All three rivals possess outsized military establishments with vast arrays of conventional and nuclear weapons. China and Russia have now joined the United States (even if on a more modest scale) in extending their influence beyond their borders diplomatically, economically, and militarily. More importantly, all three rivals are led by highly nationalistic leaders, each determined to advance his country’s interests. A tripolar world, almost by definition, will be markedly different from either a bipolar or a unipolar one and conceivably far more discordant, with Donald Trump’s Washington potentially provoking crises with Moscow at one moment and Beijing the next, without apparent reason. In addition, a tripolar world is likely to encompass more potential flash points. During the whole Cold War era, there was one crucial line of confrontation between the two major powers: the boundary between NATO and the Warsaw Pact nations in Europe. Any flare-up along that line could indeed have triggered a major commitment of force on both sides and, in all likelihood, the use of so-called tactical or theater atomic weapons, leading almost inevitably to full-scale thermonuclear combat. Thanks to such a risk, the leaders of those superpowers eventually agreed to various de-escalatory measures, including the about-to-be-cancelled INF Treaty of 1987 that banned the deployment of medium-range ground-launched missiles capable of triggering just such a spiral of ultimate destruction. Today, that line of confrontation between Russia and NATO in Europe has been fully restored (and actually reinforced) along a perimeter considerably closer to Russian territory, thanks to NATO’s eastward expansion into the Czech Republic, Poland, Hungary, Romania, Slovakia, and the Baltic republics in the era of unipolarity. Along this repositioned line, as during the Cold War years, hundreds of thousands of well-armed soldiers are now poised for full-scale hostilities on very short notice. At the same time, a similar line of confrontation has been established in Asia, ranging from Russia’s far-eastern territories to the East and South China Seas and into the Indian Ocean. In May, the Pentagon’s Pacific Command, based in Hawaii, was renamed the Indo-Pacific Command, highlighting the expansion of this frontier of confrontation. At points along this line, too, U.S. planes and ships are encountering Chinese or Russian ones on a regular basis, often coming within shooting range. The mere fact that three major nuclear powers are now constantly jostling for position and advantage over significant parts of the planet only increases the possibility of clashes that could trigger a catastrophic escalatory spiral. In doing so, the president is said to be particularly keen on disrupting and crippling Beijing’s “Made in China 2025” plan, an ambitious scheme to achieve mastery in key technological sectors of the global economy, including artificial intelligence and robotics, something that would indeed bring China closer to that goal of parity, which Trump and his associates are determined to sabotage. In other words, for China, this is no mere competitive challenge but a potentially existential threat to its future status as a great power. As a result, expect counter-measures that are likely to further erode the borders between peace and war. And if there is any place where such borders are particularly at risk of erosion, it’s in cyberspace, an increasingly significant arena for combat in the post-Cold War world. While an incredible source of wealth to companies that rely on the Internet for commerce and communications, cyberspace is also a largely unpatrolled jungle where bad actors can spread misinformation, steal secrets, or endanger critical economic and other operations. Its obvious penetrability has proven a bonanza for criminals and political provocateurs of every stripe, including aggressive groups sponsored by governments eager to engage in offensive operations that, while again falling short of armed combat, pose significant dangers to a targeted country. As Americans have discovered to our horror, Russian government agents exploited the Internet’s many vulnerabilities to interfere in the 2016 presidential election and are reportedly continuing to meddle in America’s electoral politics two years later. China, for its part, is believed to have exploited the Internet to steal American technological secrets, including data for the design and development of advanced weapons systems. The United States, too, has engaged in offensive cyber operations, including the groundbreaking 2010 “Stuxnet” attack that temporarily crippled Iran’s uranium enrichment facilities. It reportedly also used such methods to try to impair North Korean missile launches. To what degree U.S. cyberattacks have been directed against China or Russia is unknown, but under a new “National Cyber Strategy” unveiled by the Trump administration in August, such a strategy will become far more likely. Claiming that those countries have imperiled American national security through relentless cyberattacks, it authorizes secret retaliatory strikes. The question is: Could trade war and cyberwar lead one day to regular armed conflict? Such dangers are compounded by another distinctive feature of the new global tinderbox: the unrestrained impulse of top officials of the three powers to advertise their global assertiveness through conspicuous displays of military power, including encroaching on the perimeters, defensive or otherwise, of their rivals. These can take various forms, including overly aggressive military “exercises” and the deployment of warships in contested waters. Increasingly massive and menacing military exercises have become a distinctive feature of this new era. Such operations typically involve the mobilization of vast air, sea, and land forces for simulated combat maneuvers, often conducted adjacent to a rival’s territory. This summer, for example, the alarm bells in NATO went off when Russia conducted Vostok 2018, its largest military exercise since World War II. Involving as many as 300,000 troops, 36,000 armored vehicles, and more than 1,000 planes, it was intended to prepare Russian forces for a possible confrontation with the U.S. and NATO, while signaling Moscow’s readiness to engage in just such an encounter. Not to be outdone, NATO recently completed its largest exercise since the Cold War’s end. Called Trident Venture, it fielded some 40,000 troops, 70 ships, 150 aircraft, and 10,000 ground combat vehicles in maneuvers also intended to simulate a major East-West clash in Europe. Such periodic troop mobilizations can lead to dangerous and provocative moves on all sides, as ships and planes of the contending forces maneuver in contested areas like the Baltic and Black Seas. In one incident in 2016, Russian combat jets flewprovocatively within a few hundred feet of a U.S. destroyer while it was sailing in the Baltic Sea, nearly leading to a shooting incident. More recently, Russian aircraft reportedly came within five feet of an American surveillance plane flying over the Black Sea. No one has yet been wounded or killed in any of these encounters, but it’s only a matter of time before something goes terribly wrong. What comes next is anyone’s guess, since “not standing down” roughly translates into increasingly aggressive maneuvers. On the Road to World War III? Combine all of this — economic attacks, cyber attacks, and ever more aggressive muscle-flexing military operations — and you have a situation in which a modern version of the Cuban Missile Crisis between the U.S. and China or the U.S. and Russia or even involving all three could happen at any time. Add the apparent intent of the leaders of all three countries to abandon the remaining restraints on the acquisition of nuclear weapons in order to seek significant additions to their existing arsenals and you have the definition of an extremely dangerous situation. In February, for instance, President Trump gave the green light to what may prove to be a $1.6 trillion overhaul of the American nuclear arsenal initially contemplated in the Obama years, intended to “modernize” existing delivery systems, including intercontinental ballistic missiles, submarine-launched ballistic missiles, and long-range strategic bombers. Russia has embarked on a similar overhaul of its nuclear stockpile, while China, with a much smaller arsenal, is undertaking modernization projects of its own. Equally worrisome, all three powers appear to be pursuing the development of theater nuclear weapons intended for use against conventional forces in the event of a major military conflagration. Russia, for example, has developed several short- and medium-range missiles capable of delivering both nuclear and conventional warheads, including the 9M729 ground-launched cruise missile that, American officials claim, already violates the INF Treaty. The United States, which has long relied on aircraft-delivered nuclear weapons for use against massive conventional enemy threats, is now seeking additional attack options of its own. Under the administration’s Nuclear Policy Review of February 2018, the Pentagon will undertake the development of a “low-yield” nuclear warhead for its existing submarine-launched ballistic missiles and later procure a nuclear-armed, sea-launched cruise missile. How do the rest of us respond to such a distressing prospect in an increasingly imperiled world? How do we slow the pace of the race to World War III? There is much that could, in fact, be done to resist a new nuclear arms confrontation. After all, it was massive public pressure in the 1980s that led the U.S. and USSR to sign the INF Treaty in the first place. But in order to do so, a new world war would have to be seen as a central danger of our time, potentially even more dangerous than the Cold War era, given the three nuclear-armed great powers now involved. Only by positioning that risk front and center and showing how many other trends are leading us, pell-mell, in such a direction, can the attention of a global public already distracted by so many other concerns and worries be refocused. 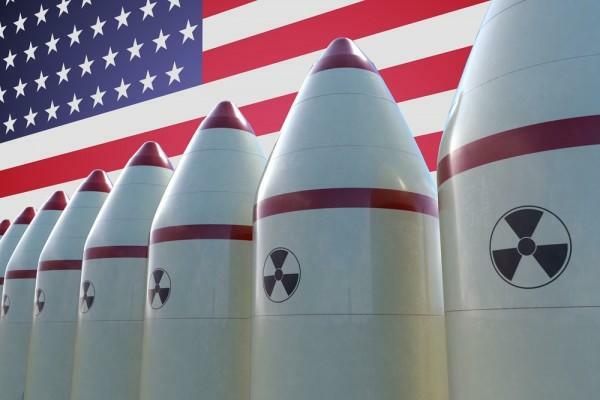 Is a nuclear World War III preventable? Yes, but only if preventing it becomes a central, common objective of our moment. And time is already running out.